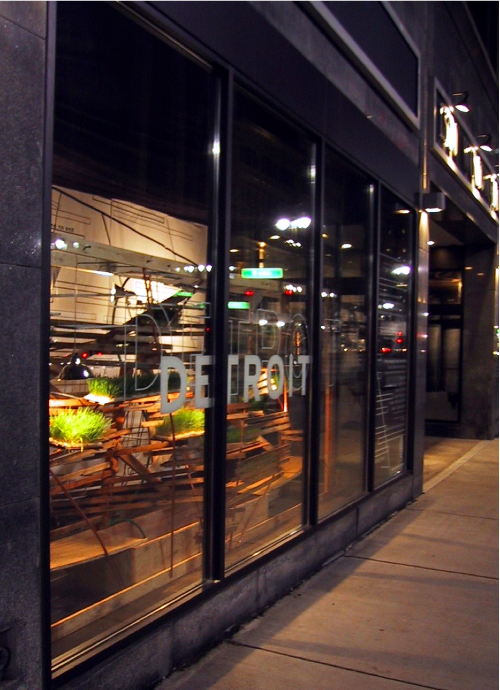 This installation was created for a vacant downtown storefront in Detroit during Superbowl XL in 2006. Intended as a commentary on the state of the city, the apparatus was made of found materials—the wood laths, sheathing, and studs, and the copper pipes taken from a vacant house. Motion sensors hidden in the storefront window activated the watering, heating, and illumination of small fields of grass delicately held in place by the wooden and copper apparatus. Because the fields could only be sustained by the actions of passersby, whose movements activated the sensors, the installation emphasized that the life of the city is dependent on the active participation of its residents.